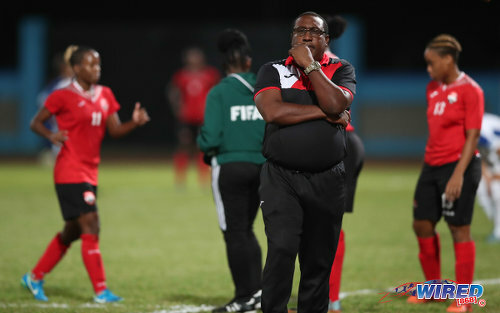 Trinidad and Tobago Women’s National Senior Team coach Jamaal Shabazz handed in his resignation to the Trinidad and Tobago Football Association (TTFA) today, just 13 months after he replaced Italian Carolina Morace at the helm of the local women’s programme. Shabazz served as head coach for the Women’s National Under-17, Under-20 and Senior Teams during that period. But, just a week after returning from the Central American and Caribbean (CAC) Games in Colombia—where the Women Soca Warriors finished fourth but managed one draw and three losses from their four outings—the veteran coach has decided to call it a day. Photo: Trinidad and Tobago Women’s National Senior Team coach Jamaal Shabazz (centre) considers his option during international friendly action against Panama at the Ato Boldon Stadium on 22 March 2018. Shabazz, the co-founder and head coach of Pro League team Morvant Caledonia United, told Wired868 that he did not feel he had any more to give to the national women’s programme. The Women’s team enter the Caribbean Cup finals from 25 August in Jamaica, with technical director Anton Corneal likely to step in as caretaker. Corneal worked with the team before and is believed to be a popular choice among the players. 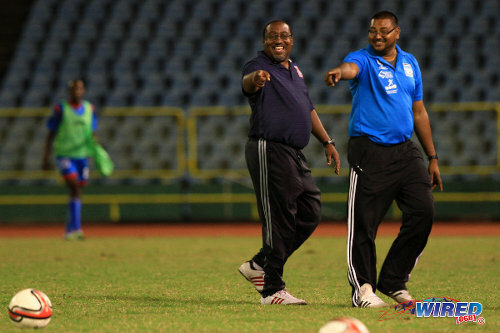 Shabazz’s shock resignation follows word of unrest within the squad, which TTFA president David John-Williams attempted to quell yesterday with alleged ham-fisted measures. 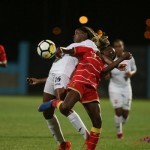 In May, former Women Warriors captain Maylee Attin-Johnson said publicly that she would not play under Shabazz as she did not think the coaching staff had the capability to help the team push for a spot at the France 2019 Women’s World Cup. 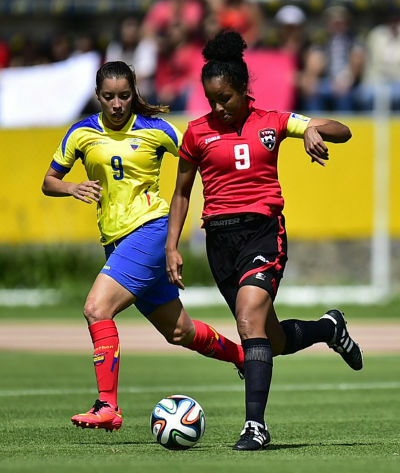 Photo: Trinidad and Tobago midfielder and captain Maylee Attin-Johnson (right) advances with the ball under pressure Ecuador star Gianina Lattanzio during the first leg of the 2015 FIFA Play Off in Quito. Noticeably, star forward Kennya “Yaya” Cordner and veteran winger Ahkeela Mollon also declined opportunities to join the setup. Shabazz continued regardless but, in Colombia, there were signs that the doubt had spread to the players who were under his charge. In four games, Trinidad and Tobago drew 2-2 with Nicaragua but lost to Mexico, Costa Rica and Venezuela—to miss out on a bronze medal. Wired868 understands that John-Williams met the Women’s Senior Team yesterday and read the players the riot act. The senior players were allegedly told, according to multiple sources, that if they were unwilling to play for Shabazz, John-Williams would bring in the Under-20 squad to represent the country in the World Cup qualifying campaign instead. The TTFA constitution does not permit its president to select the coach or players; and it is uncertain if John-Williams could have carried out his threat. But Wired868 understands that the players subsequently agreed to play under their current boss. 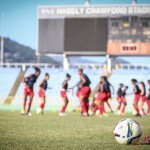 John-Williams did not respond to requests from Wired868 to explain his comment to the national women players. Shabazz said he knew about John-Williams’ meeting with the players, although he distanced himself from the latter’s alleged threat. 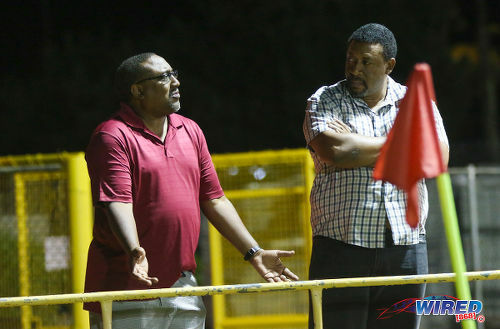 Photo: Morvant Caledonia United coach Jamaal Shabazz (left) and TTFA president and W Connection owner David John-Williams chat during a Pro League contest between their two teams at the Hasely Crawford Stadium training ground on 20 January 2017. “I don’t know anything about that threat [and] I don’t think I should be connected to that statement,” said Shabazz. “All I can say is I sat down, I weighed all the factors and I made my decision. I can’t speak to those comments. “… The last year was a tremendous learning experience. I can’t see myself coaching women’s football again but I can see myself sharing my experience and what I have learnt in the women’s game over the years. Shabazz said he is happy to share his knowledge of scouting and developing players while he also stressed the need for stronger women’s leagues. He suggested that the NAAATT has been hoovering up the best young female athletes due to its superior organisation with the under-12 age groups. Women’s football, he said, gets what is left behind by the other sports. 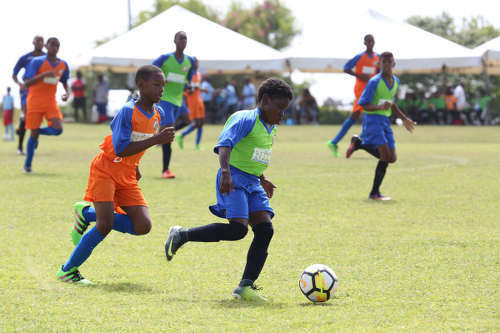 He credited the TTFA’s current National Elite Youth Development Programme and suggested that the current Boys Under-14 Team could be the most gifted bunch the country has had in 30 years. 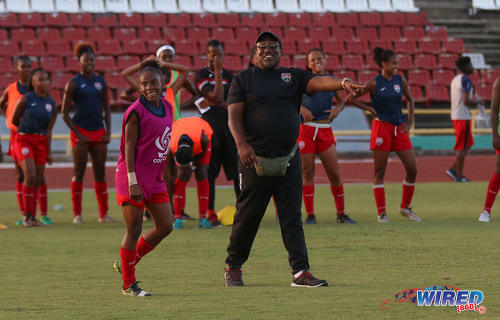 The Women’s Under-15 Team, which was forced to forfeit the 2018 Concacaf Championship due to the TTFA’s failure to get them visas, is also a promising bunch, according to Shabazz. 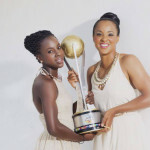 But their impact on the national senior team will not be felt for years to come. In his 13 months at the helm, Shabazz helped the senior women’s team past the first round of Caribbean qualifying matches as well as a semifinal CAC Games finish. But his Under-17 Team was eliminated in the Caribbean qualifying rounds while, at Under-20 level, he team lost all three matches—despite home advantage—in January’s Concacaf series. “Well, given the material I had to work with, I think I did the best I could,” said Shabazz. “I will always measure my work with the material I had to work with; and I think the pool is too small. We are still relying on players we developed in 2000. Photo: Trinidad and Tobago women’s coach Jamaal Shabazz (right) instructs attacker Aaliyah Prince during National Under-20 Team practice at the Hasely Crawford Stadium on 9 January 2018. Ironically, Shabazz’s crop of 2000—or at least a few key players from that generation—lost faith in his ability to take the team to the next level. He refused to name any players whose actions or statements might have prompted his retirement; however, he said the new coach could not afford to blacklist players if they were to have any chance of getting to the France World Cup. He said he will turn his attentions now to the Pro League and, possibly, the Ministry of National Security and new Commissioner of Police, Gary Griffith—a former top flight hockey player and TTFA security advisor. “I am going and apply for a job at the Ministry of National Security,” said Shabazz, who was a former insurrectionist during the Jamaat al Muslimeen’s attempt coup in 1990. “Yes, I have my club in the Pro League; but look at the crime situation. We have a new police commissioner and I don’t know if he will need some help in Morvant/Laventille. I feel there must be some sort of job in there for me; so we will see. It is with a great sense of humility and satisfaction I would like to inform you of my resignation as Head Coach of the Trinidad & Tobago Women’s National Team. After careful consideration of all the factors surrounding what is required for this team to go forward, it is in the best interest of the team and the country, that I step aside and allow for someone who can bring more to the table at this point. A major part of my life has been given to develop the women’s game as a Coach. Now I think Allah has a different role for me to play in the development of the game locally and regionally. I will remain a staunch supporter of this team in particular and women’s football in general. I thank the players, staff, fans and all who helped in my efforts and look forward to a new challenge.